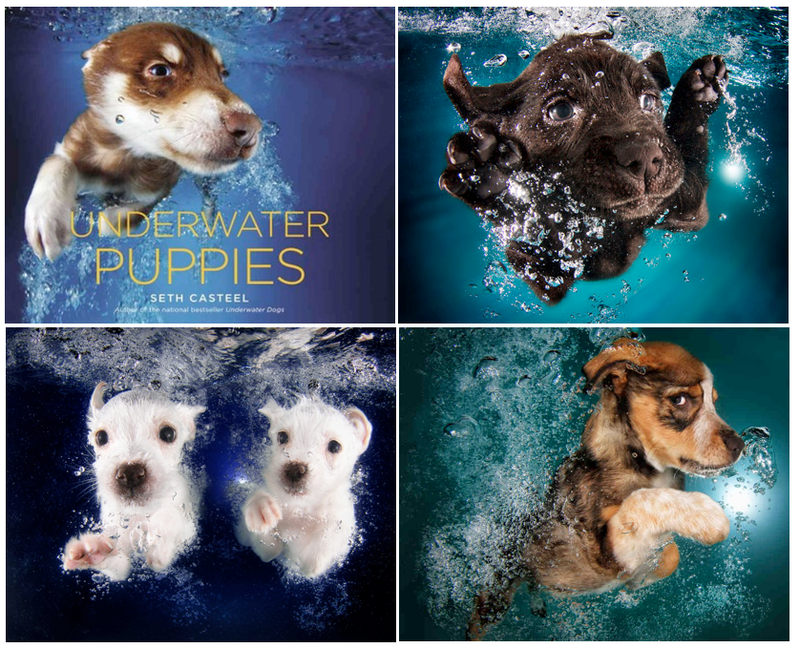 What It Is: A new coffee table book from photographer Seth Casteel, who first wowed audiences with his book Underwater Dogs , capturing man’s best friend in an almost otherworldly setting. I may be a cat person myself, but there is no denying that puppies are pretty much the cutest creation on the planet. Seeing them take the plunge with Casteel’s super high tech camera and beautifully staged backdrops in over 80 portraits makes for a striking, awe AND aw-inspiring book, one that’s sure to warm any puppy lover’s heart. Who It’s For: Dog lovers, obviously. But also: people who’ve welcomed a new puppy into their lives, or have recently said goodbye to a pet, or are huge animal activists, or breeders, or perhaps simply those who caught Casteel’s first book and was keen to pick up the second. What It Costs: The list price is $21. And while we’re on the subject of gift ideas to make you smile – why not earn an extra entry into this month’s Find of the Month for Tickled Pink Paper & Ink? Just tell me in the comments below: who would be beaming with happiness on your shopping list to receive this cute book? This would be a lovely gift for my daughter. She loves dogs. She is away right now in Belize and the first thing she told me about her trip was about all “the cute little dogs”. Tickled Pink Paper & Ink bonus entry: There are so many people in my life who would be beaming with happiness on my shopping list to receive this cute book – cousins, friends, coworkers … me too! My parents are big dog lovers so I would give this to them. My granddaughter will love getting this book as a Christmas gift. This would be a great gift for my aunt… she absolutely loves dogs! My daughter would get a kick out of this. I would love this book and both my nieces would love it too! My bff would melt at this! Me me me! I loooove doggies! My boyfriend and I will love this book, amazing photos.